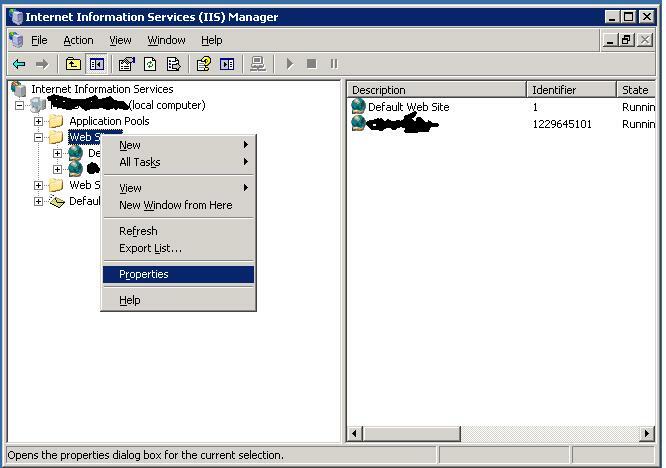 Save the configuration in IIS manager and then perform an iisreset from the command prompt. 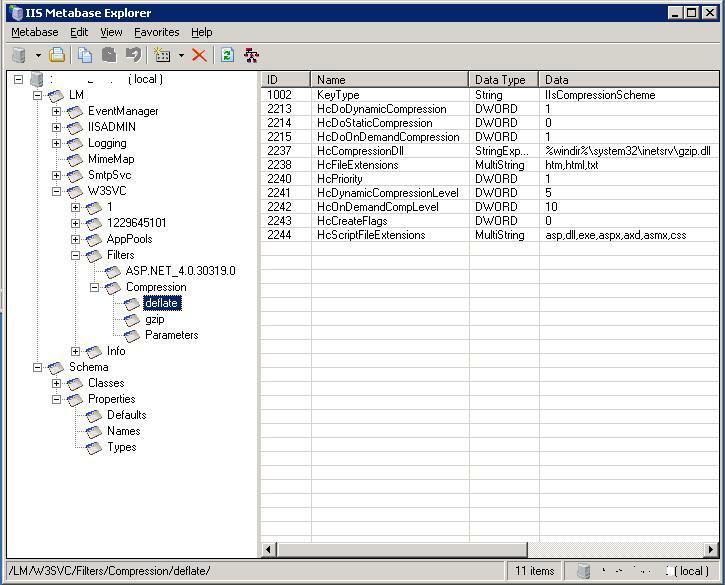 You can verify the amount of compression you are are getting using a tool such as Fiddler or alternatively browser plugin Httpwatch. On this screen examine the ‘Entity Size’ which will be the original size of the page before compression. 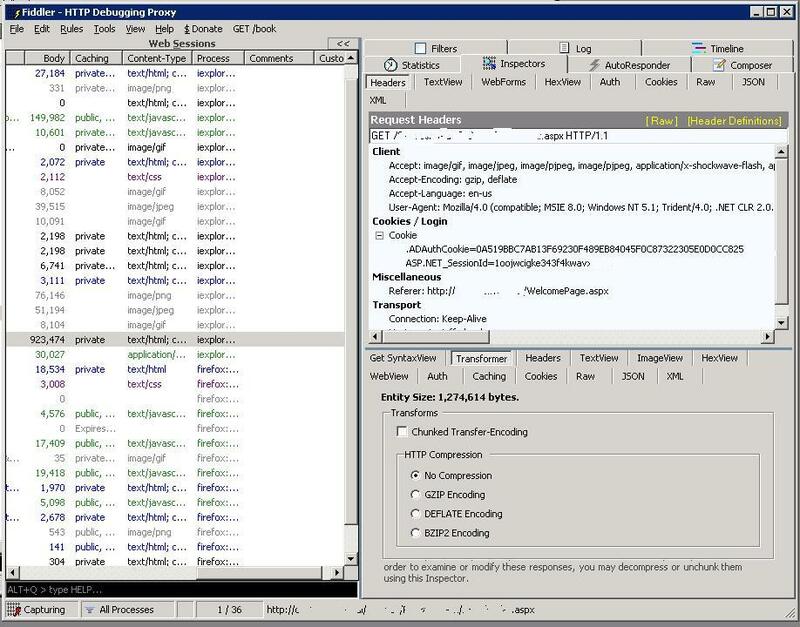 You can compare this to the body column to see the amount that the page has been compressed, in this case around a 27% saving on bandwidth. 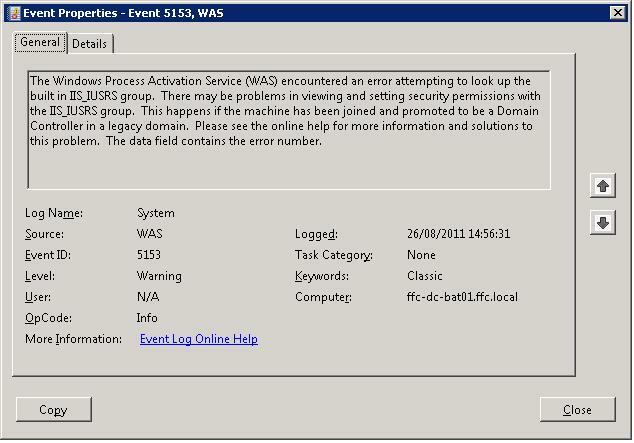 This error occurs when you promote a Windows 2008 Server to become a domain controller in a domain that is lower than 2008 functional level, and the server is also running IIS. Fortunately, this is documented in Microsoft KB 946139 and the fix is simple.